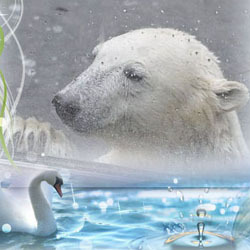 Most polar bear fans are familiar with Churchill and Vienna’s six “V” cubs: Vitus, Victoria, Victor, Vilma, Valeska and Venus. Did you know that before Vienna was even born, another cub was born in the old Rostock “Castle”? Churchill’s first son was Boris, born December 15, 1985, with Kara as the mother. – Where is Boris now? Log in | 48 queries. 0.757 seconds.